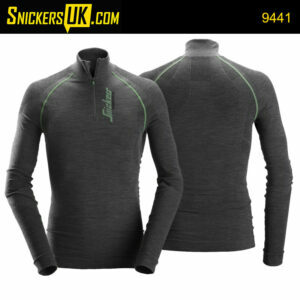 This great first layer T-shirt is the improved version of a Snickers Workwear classic. 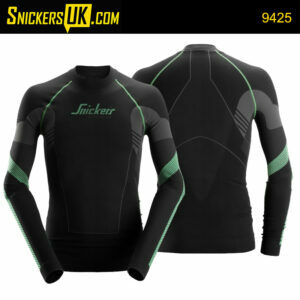 The advanced design has been developed for great warmth and ventilation. It is seamlessly knitted for optimal comfort in a quick-drying stretch fabric to keep you warm, dry and fresh. 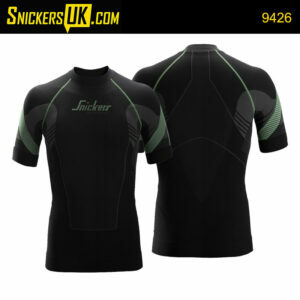 This advanced base layer t-shirt is made in a seamless design for great comfort. It is knitted in yarn with 37.5® technology that captures and releases moisture vapour – for outstanding ventilation and climate control. A great first layer for an active performance during your workday. Experience dry, warm working comfort in this advanced first layer long sleeve T-shirt. Developed for intense active work and featuring 37.5® technology for the best in ventilation and moisture transport. Knitted with seamless designand and with improved ventilation knit in areas where you sweat the most.